He holds a bachelors degree in business administration from the University of San Diego, a masters of science degree in Consulting Psychology from the California School of Professional Psychology, and is currently completing his PhD dissertation. His doctoral research focuses on the relationship between a coaching style of management and employee engagement. He is a member of the Society of Consulting Psychology and has published articles in a number of publications including Talent Management Magazine. Amy Lui Abel is Managing Director of Human Capital at The Conference Board and leads research efforts focusing on leadership development, human capital analytics, organizational learning, labor markets, strategic workforce planning, talent management, diversity and inclusion, executive coaching, human resources, and employee engagement. In addition to published research, related products and services at The Conference Board include peer learning networks, conferences, webcasts, and other executive events. Andreas is a leadership coach, educator, speaker, and independent consultant with over 20 years of leadership development experience, and has delivered many international leadership development programs. He focuses on high-stakes coaching, is co-editor of Tricky Coaching: Difficult Cases in Leadership Coaching, and has presented at various top leadership and academic conferences. He is Executive Development Advisor & Lead Coach at ESMT Berlin, the international business school founded by 25 leading global companies – like Allianz, BMW, Daimler, Lufthansa, Siemens, SAP, McKinsey, etc. – which ranks in the Top 10 globally for executive education. As founding member of ESMT’s Center for Leadership Development Research he manages ESMT’s executive coach pool, co-designed the legendary ESMT/KDVI Coaching Colloquium, and the 2016 IOC/ESMT Leadership Forum in collaboration with the Institute of Coaching, a Harvard Medical School affiliate. Andreas is also an executive coach with INSEAD’s Global Leadership Centre, is passionate about helping C-suite leaders with their transitions, and enjoys coaching Start-up CEOs and their teams, as well as agile leadership teams in high risk environments. Andy’s work helps people develop the insights and courage necessary to act outside their personal and cultural comfort zones when doing important, but challenging, tasks in work and life. He is a columnist for Inc. Magazine and also writes regularly for Harvard Business Review, Psychology Today and LinkedIn, where he was awarded as a Top Voice in 2016. His first book, Global Dexterity received the Axiom Award for Best Business Book in International Business & Globalization and has been used widely in organizations around the world. His new book Reach was published with Penguin Random House in January 2017. He teaches, consults, and lectures widely to university and corporate audiences. Arthur Carmazzi is ranked as one of the Global Top 10 most influential thought leaders in leadership and in organizational culture by Global Gurus. As a bestselling author and founder of the Directive Communication Psychology, Arthur’s ideas and methodologies have influenced the training and leadership development industry through his unique “anti-model” psychological approaches to leadership and corporate culture transformation. His innovative tools, assessments, and techniques have made a substantial impact on effective behaviour modification. He is a renowned for his Culture Revolution process to sustainably alter organizational culture and organizational engagement and productivity in 80 days. Together with the 317 licensed Directive Communication Psychology trainers in 17 different countries, Arthur and his team have made a global impact in improving people lives through their organizations. Bob Dunham is founder of the Institute for Generative Leadership (IGL) and has trained hundreds of graduates in the three-year Coaching Excellence in Organizations (CEO) program. IGL partners with Newfield Network – the leading school of ontological coaching – and also offers the discipline of Generative Leadership and management in the Generative Leadership Program™ (GLP). Bob’s experience as a corporate executive and deep study of human action informs over thirty years of coaching, consulting, research and development of action and result-based practices for effective coaching of leadership, management, and teamwork. Bob works to establish leadership, management, and coaching in organizations as mature professions. Bob clarifies the human foundations of leadership and coaching in the Generative Leadership framework. Bob Kulhan is President, CEO, and Founder of Business Improv, an innovative consultancy that specializes in experiential learning and serves an international roster of blue-chip firms. He is also an Adjunct Professor at Duke University’s Fuqua School of Business and Columbia Business School. A performer with over 20 years of stage credits, he has trained with a long list of legendary talents, including Tina Fey and Amy Poehler. His work has been featured by such outlets as CNN, Entrepreneur, Fast Company, the Financial Times, Slate, and the Wall Street Journal. He is the author of Getting to “Yes And…”: The Art of Business Improv. Brian previously spent 10 years managing executive coaching operations for Marshall Goldsmith. Some of his clients include Dell, Microsoft, Wal-Mart and the State of California. He holds a Ph.D. in organizational behavior and is an internationally sought-after speaker. Brian lives in Silicon Valley where he is an avid soccer and racquetball player, worship leader, as well as dad to active 13 and 16 year olds. Dr. Kauffman is an Assistant Professor at Harvard Medical School. In 2008 she received a $2,000,000 in order to launch the Institute of Coaching an international educational resource. She has also co-launched the annual Harvard Coaching Conference, Institute of Coaching Leadership Forum and has presented at and chaired numerous leadership and academic conferences. Carol has extensive coaching experience with over 40,000 hours of client contact. She works with multi-national organizations either in the C-Suite or in tandem with large-scale leadership development programs. In addition to coaching, her Leader as Coach training program won the inaugural mentorship award at Harvard Medical School. Cathy Salit is an author, speaker, CEO, executive coach, actress, singer, and comic improv performer. She began her career as an upstart and risk-taker at age 13, when she dropped out of eighth grade and started an alternative school in an abandoned storefront in New York City. Since then, Cathy has dedicated her life to creating educational environments that challenge the status quo and offer innovative learning experiences. David has published dozens of articles and chapters on coaching, is co-author of Development FIRST: Strategies for Self-Development and Leader as Coach, with over a million copies in print, and co-editor of the Handbook of the Psychology of Coaching and Mentoring. He earned his PhD in Counseling and Industrial/Organizational Psychology at the University of Minnesota. DeAnne Aussem is the founding Director of the U.S. Leadership Coaching Center of Excellence at PwC. As one of the world’s largest professional services firms, PwC attracts the best and brightest talent from diverse backgrounds and DeAnne’s role is to bring world-class coaching to these emerging leaders. 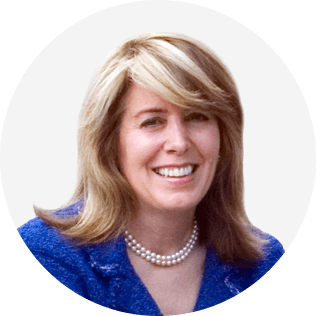 As a leadership development expert and executive coach, DeAnne draws upon more than 21 years of professional services experience across the U.S. and globally. DeAnne is a dynamic and innovative business leader offering deep expertise in Diversity & Inclusion, Human Capital and Global Development, which enables her to be a trusted advisor and source of strategic insight on today’s difficult leadership challenges. Recognized as an authentic, credible voice of insight, DeAnne has led the creation and execution of unique people experiences that have been delivered to thousands of leaders around the world. As a sought after keynote speaker for PwC’s premier global and domestic programs, DeAnne engages a variety of audiences on topics related to: leading with purpose, managing complexity and change, and aligning your work with the values that matter. Dolores Bernardo is the Founder & Managing Partner of Makena Leadership Group, a company which support, inspire and challenge leaders to amplify their impact for themselves, their teams, their organizations, and the world. Makena Leadership Group provides leadership development, coaching, and talent development strategy consulting to organizations in rapid growth. Dolores formerly led leadership development at Airbnb and was head of manager development at Google. She is a frequent contributor to the Harvard Business Review, TIME, and Entrepreneur. Recognized as a “branding expert” by the Associated Press, Inc., and Fortune, Clark is a marketing strategy consultant and speaker for clients including Google, Microsoft, Yale University, Fidelity, the U.S. State Department, and the World Bank. She is also the producer of a Grammy winning jazz album. Dr. David Drake founded the field of narrative coaching and runs the Center for Narrative Coaching & Design in the San Francisco Bay Area. He has designed and delivered change and coaching projects in over 70 organizations. He is a master coach and has taught coaching to over 10,000 leaders, managers and professionals in sixteen countries. David earned his PhD in Human & Organizational Development from Fielding Graduate University in California. He is the author of over 50 publications and he serves on the Senior Advisory Board for Coaching: An International Journal of Theory, Research and Practice. He is the lead editor of The Philosophy and Practice of Coaching (2008, Jossey-Bass), author of Narrative Coaching: Bringing New Stories to Life (CNC Press, 2015), and co-editor of SAGE Handbook of Coaching (Sage, 2016). He is a Fellow and Thought Leader for the Institute of Coaching affiliated with Harvard Medical School. Deborah Rozman, Ph.D., is President and CEO of HeartMath Inc. She is also a psychologist, educator, and author. HeartMath develops scientifically-validated training and certification programs in building coherence and resilience, for coaches, mentors and workshop trainers and health professionals. HeartMath also developed the award winning emWave and the Inner Balance coherence feedback technology to facilitate emotional self-regulation and internal energy management to improve well-being and optimize heart-brain synchronization for higher performance, better decision-making and leadership. Deborah co-authored with HeartMath founder Doc Childre the Transforming book series, published by New Harbinger. The series includes four titles, including Transforming Stress, Transforming Anger, Transforming Anxiety and Transforming Depression. She also co-authored Heart Intelligence: Connecting with the Intuitive Guidance of the Heart. Deborah is a member of the Transformational Leadership Council and is on the Advisory Board of the Palo Alto based Transformative Technology Lab. Jan is global strategist, coach and mentor. His personal mission: “I help individuals, organizations and countries around the world to unlock their human potential”. Jan has proven record in building successful teams and organizations in his almost 22 years long career in Microsoft, where he served in different executive positions. In his last role (2007-2014) he was as Chairman Europe, Microsoft Corporation. Based on his global experience he created a rather unique methodology to find personal uniqueness for individuals and teams, personal vision, and how to implement vision through individual uniqueness. Jan is teaching his course globally both in private and public sector. Jan is author of the book Positive leader, which was published by Pearson in Financial Times Series 2016. Jeffrey Hull, Ph.D. BCC is CEO of Leadershift, Inc. a leadership development consultancy based in New York City. He is a highly sought after speaker, organizational psychologist/consultant and executive coach. Dr. Hull is a Clinical Instructor in Psychology at Harvard Medical School, Director of Education and Business Development at the Institute of Coaching (Mclean Hospital, a Harvard Medical School Affiliate), and a Professor of Leadership at New York University. An accomplished writer/researcher, executive coach and Leadership development professional since 1995, Dr. Hull has published articles in Harvard Business Review, Coaching World and other leading business publications. He has worked with a globally diverse portfolio of organizations in the US, Asia, and Europe as a senior leader, coach and consultant. Jeremy heads Executive Coaching, Assessments, and coaching skill development at LinkedIn. Jeremy works to enable the transformative impact of coaching and growth to occur at scale, supporting leaders to become more effective, more intentional, and better at bringing out the best in their team and organization and creating a culture of coaching and learning at LinkedIn. Prior to LinkedIn, served as an executive coach at a number of organizations from Fortune 100 companies to start ups and is on the faculty at Coaches Training Institute where he has a CPCC certification and a PCC designation from the ICF. John has been practicing Gestalt for 40 years culminating in writing a definitive book Fertile Void, Gestalt Coaching at Work. He was a psychotherapist, Masters level psychotherapy trainer, supervisor for 20 years and MD of the Gestalt Centre London for 12 years . By integrating his clinical and business experience he went on to create a very innovative and experiential Gestalt training service for consultants, trainers and team leaders. As founder in 2000 and now President of the Academy of Executive Coaching, he created an organisation dedicated to training executive coaches to develop their unique style of coaching and personal coaching model. While John’s Gestalt influence permeates the fabric and work of the AoEC they integrate other psychological approaches. His portfolio career blends business leadership, team & individual coaching, supervising, training & presenting. He has a zest and passion for life aligned with his Gestalt principles expressed primarily through his work, grandchildren and dancing tango. John Mattone is the world’s #1 authority on Intelligent Leadership and the creator of the Intelligent Leadership Executive Coaching Process and Certification (ICF accredited). He was recently recognized as the world’s #2 ranked executive coach by the research organization, Globalgurus. John is the former executive coach to the late Steve Jobs and the former legendary CEO of PepsiCo, Roger Enrico. John Mattone is now one of the most in-demand C-level coaches in the world. Joshua Spodek, bestselling author of Leadership Step by Step, is an Adjunct Professor at NYU, leadership coach and workshop leader for Columbia Business School, columnist for Inc., and founder of SpodekAcademy.com. He has led seminars in leadership, entrepreneurship, creativity, and sales at Harvard, Princeton, MIT, INSEAD, and in private corporations. He holds five Ivy League degrees, including a PhD in Astrophysics and an MBA, and studied under a Nobel Laureate. He helped build a satellite for NASA, co-founded and led several ventures, and holds six patents. He earned praise as “Best and Brightest” (Esquire’s Genius Issue), “Astrophysicist turned new media whiz” (NBC), and “Rocket Scientist” (ABC, Forbes) and has been quoted and profiled by ABC, CBS, NBC, the NY Times, and the Wall Street Journal. He has visited North Korea twice, swam across the Hudson River, and has done burpees daily for six years. Judith E. Glaser is founder and CEO of Benchmark Communications, Inc. and Chairman of The Creating WE Institute with over twenty-five years of business experience working with CEOs and their teams in a ‘world of moving targets.’ She is an Organizational Anthropologist, and consults to Fortune 500 Companies. Her transformational approaches using neuroscience and anthropology enable leaders to raise their Conversational Intelligence® and profitability and growth while building healthy thriving organizations. Judith is the author of seven books, and four best sellers. A pioneer in the sphere of Leadership and Executive Coaching in India, Krishna Kumar is also presently the global President and a Member on the Governing Board of the International Association of Coaching (IAC). The firm belief that coaching is enlightening, transformational, at times magical, almost always healing and possessing the power to build a healthier and harmonious society has carried him through a diverse and continuing learning journey over three decades where he has donned the hats of a senior corporate executive, an entrepreneur, a master tennis coaching professional, a B-school professor, independent Board member and as a Leadership and Executive Coach. The Founder Director of the Intrad School of Executive Coaching (ISEC) his clientele includes senior executives and managers in global firms like Oracle, CISCO, TESCO, Boeing, Infosys, WIPRO, Robert Bosch, Polo Ralph Lauren, Legal & General (UK), Decathlon (France) and many others. Linda Naiman is founder of Creativity at Work, an innovation consultancy specializing in arts-based learning and design thinking approaches to building creativity, leadership and innovation capabilities in organizations. Linda brings a multi-disciplinary approach to learning and development based on her background as an artist and designer. She helps leaders and their teams develop the mindsets, skill sets and tool sets required to navigate ambiguity and complexity, take conceptual risks and improve their innovation outcomes. Lisa Ann Edwards is a leading expert in measuring the success and impact of coaching. She is the Founder of Bloom Coaching Institute, an organization that helps coaches, coaching program managers and coaching organizations advance coaching results through tools, research, training and consultation utilizing Coaching with ROI. Lisa’s own coaching work has demonstrated as much as a 251% return-on-investment and has been shown to lift employee engagement nearly 20%. Lisa has been a guest speaker for more than 60 universities and professional associations on the topic of Coaching ROI such as WBECS, Columbia University, The Conference Board and International Coach Federation Global Conference. As head of Talent Management for Corbis, a Bill Gates’ privately owned global media company, Lisa was responsible for designing and implementing effective talent development solutions to feed the talent pipeline. Lisa is a frequent contributing author to trade publications and has authored or contributed to nine books. Liz Wiseman is a researcher, executive advisor, and speaker who teaches leaders around the world. She is the author of three best-selling books: Rookie Smarts: Why Learning Beats Knowing in the New Game of Work, Multipliers: How the Best Leaders Make Everyone Smarter and The Multiplier Effect: Tapping the Genius Inside Our Schools. Liz is a former executive from Oracle Corporation. She writes regularly for Harvard Business Review and Fortune and her work has appeared in the Wall Street Journal, Fast Company, Entrepreneur, Inc. and Time Magazines. Liz has been listed on the biennial Thinkers50 ranking for 2013 and 2015, and named as one of the top 10 leadership thinkers in the world. Dr. Marcia Reynolds is fascinated by the brain, especially what triggers feelings of connection and possibility. She draws on her research to help coaches and leaders have more powerful conversations. She has worked in 35 countries, reaching over 100 thousand people worldwide. Dr. Reynolds was the 5th global president of the International Coach Federation and has returned to the board as a Global Director this year. She is the training director for the Healthcare Coaching Institute at Virginia Tech, and on faculty for coaching schools in Russia and China. Interviews and excerpts from Marcia’s books Outsmart Your Brain, Wander Woman, and The Discomfort Zone: How Leaders Turn Difficult Conversations into Breakthroughs have appeared in many places including Fast Company, Psychology Today, and The Wall Street Journal. Her doctorate is in Organization Psychology. Her passion is to change the world, one conversation at a time. Marita is the co-creatrix of the Relationship Systems Intelligence (RSI) and Systems Inspired Leadership models used globally to train leaders and employees to create coaching cultures. CEO and Co-Founder of CRR Global, their flagship ICF accredited ORSC program is now delivered in 18 countries with students and practitioners in more that 30 countries. Mark Thompson is a highly sought after CEO coach, VC and NYTimes bestselling author. Forbes called Mark one of America’s Top Venture Investors with the ‘Midas Touch’, and the American Management Association ranked him one of the “World’s Top Executive Coaches”. He is a founding member of the World Bank President’s Leadership Advisory Council and bestselling author of Success Built to Last: Creating a Life That Matters; Now Build a Great Business; and Admired, 21 Ways to Double Your Value. An advisor to Virgin, Apple, American Express, and Pinterest.com, he was Charles ‘Chuck’ Schwab’s former Chief of Staff and Chief Customer Experience Officer, and the Executive Producer of Schwab.com. He was a founding board member of Esurance, now an Allstate company, and Interwoven, now an HP company, and the Frances Hesselbein (Peter Drucker) Institute. He holds an MBA and MS from Stanford University. Michael Bungay Stanier is the founder and Senior Partner of Box of Crayons, a company that helps people and organizations all over the world do less Good Work and more Great Work. Box of Crayons is best known for its coaching programs that give busy managers the tools to coach in 10 minutes or less. Michael left Australia 25 years ago to be a Rhodes Scholar at Oxford University, where his only significant achievement was falling in love with a Canadian… which is why he now lives in Toronto, having spent time in London and Boston. He has written a number of books. His latest, The Coaching Habit, has been praised as one of the few business books that actually makes people laugh out loud. For over 30 years, Michael K. Simpson is an internationally sought after executive coach, leadership consultant, and keynote speaker. He is the author or co-author of seven leadership development and coaching books. His practical, real-world business experience is in teaching, advising, and coaching many of the world’s top business leaders and teams. He has coached and consulted with leaders in over 35 countries in leadership development, strategic planning, goal execution, building high performance-based teams, and high trust organizational cultures. His clients include: General Electric, Marriott, Hilton, PepsiCo, Frito Lay, Xerox, IBM, Hewlett Packard, ExxonMobil, Petronas, Atlanta Falcons NFL, Orlando Magic NBA, Eli Lilly, Baxter Healthcare, John Deere, Nike, TE Connectivity, Department of Defense, U.S. Army, U.S. Navy, U.S. Marines, U.S. Air Force, U.S. Coast Guard, United Nations, NATO, NASA, to name a few. Peter Hawkins is Professor of Leadership at Henley Business School, Chairman of Renewal Associates and founder and emeritus Chairman of Bath Consultancy Group and Chairman of Metaco South Africa. 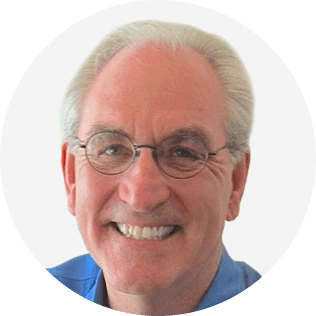 He is a leading consultant, coach, writer and researcher in leadership and leadership development and an international thought leader in executive teams, and Systemic Team Coaching. He has just led a major global research project on Tomorrow’s Leadership and the Necessary Revolution in Today’s Leadership Development for Henley Business School and finished writing the third edition of Leadership Team Coaching to be published in June 2017 by Kogan Page. He delivers inspirational Key-note talks to leaders and coaches all over the world. Prof. Philippe Rosinski, MCC is a world authority in executive coaching, team coaching, and global leadership development. He is the first European to have been designated Master Certified Coach by the International Coach Federation. Philippe is the author of the seminal bestseller Coaching Across Cultures and is widely regarded as the pioneer of intercultural coaching having first systematically integrated the cultural perspective into coaching. Co-Founder of Team Coaching International (TCI), Phil Sandahl is an internationally recognized coach, trainer, and author. He has worked with teams in North America, Europe and Asia. Phil has presented at conferences in Finland, Poland, Switzerland, Spain, Canada, Australia, and the U.S.
Phil has trained more than 1,500 team coaches from more than 45 countries. The TCI certification program leads to the designation: Certified Team Performance Coach™ (CTPC). The training includes online, blended learning and an in-person Master Class. The training also certifies coaches in the Team Diagnostic™ suite of team and team leader assessment tools. The TCI methodology and tools have been used with thousands of teams worldwide and the team assessment is in 22 languages. Richard Barrett is an author, speaker and social commentator on the evolution of human values in business and society. He is the Founder and Chairman of the Barrett Values Centre and an internationally recognized thought leader on values, culture, leadership and soul consciousness. Sally Helgesen is an author and consultant who delivers leadership programs for organizations and associations around the world. She is presently collaborating with Marshall Goldsmith on a new book about behaviors that get in the way of successful women. Her other books include The Female Vision: Women’s Real Power at Work, which explores how women’s strategic insights can strengthen their careers and benefit their organizations, and The Female Advantage: Women’s Ways of Leadership, hailed as “the classic work” on women’s leadership styles and continuously in print for 27 years. The Web of Inclusion: A New Architecture for Building Great Organizations was cited in The Wall Street Journal as one of the best books on leadership of all time.